All seven of the regularly scheduled adidas Dragon Ball Z collaborations have been officially announced, with one more variety scheduled to touch down next month representing the omnipotent super being, Shenron. While the first seven iterations all went according to plan, it appears that now an eighth variety has been summoned to represent the black and gold clad super version of the same dragon. 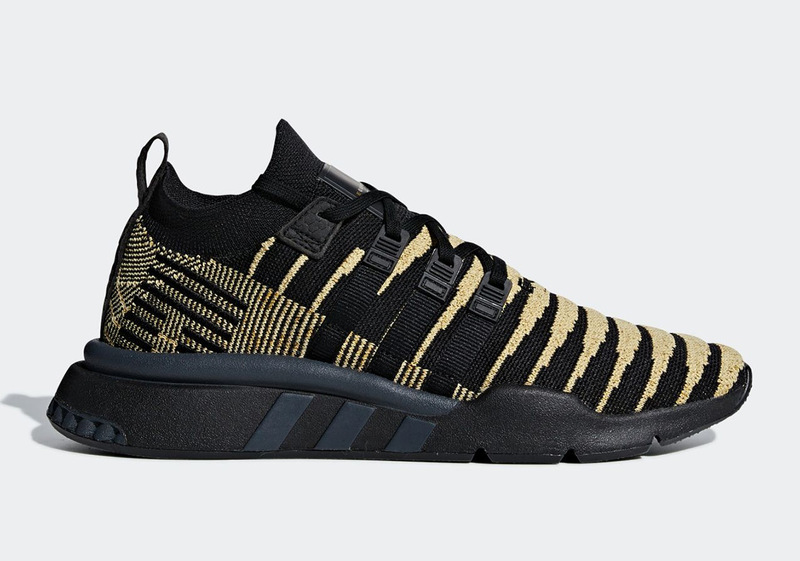 Opting to dress up the same adidas EQT Support Mid ADV PK silhouette, it utilizes the identical color blocking technique as the upcoming green and red pair, with its flexible Primeknit upper and chukka-like construction. Look for Super Shenron’s striking EQT Support to touch down December 22nd as an adidas.com exclusive for $170 USD.